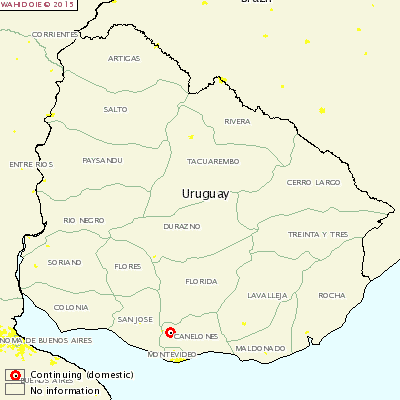 URUGUAY - A new outbreak of brucellosis has been reported on a pig farm in Uruguay. The outbreak was detected following six abortions that started in August. There was no previous history of abortions in the farm and only artificial insemination is used. Of the 663 pigs susceptible on the farm in Canelones, El Colorado, 4ª sección de Canelones, 41 cases were reported. An epidemiological investigation is on-going in order to establish the origin of the infection. Stamping out is being coordinated by the health authorities.